NUR-SULTAN – The United Nations World Tourism Organisation (UNWTO) and the Nur-Sultan Akimat (city administration) will organise the eighth UNWTO Global Summit on Urban Tourism under the Smart Cities, Smart Destinations theme in the Kazakh capital Oct. 9-12. 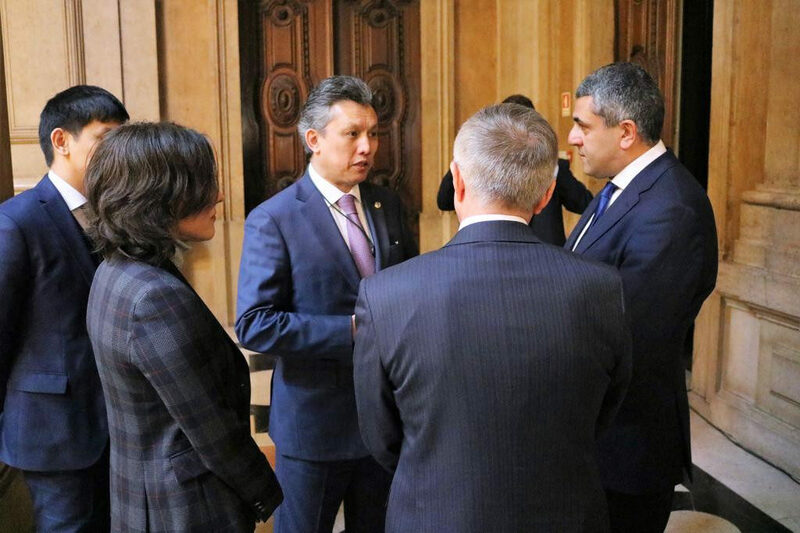 L-R: Nur-Sultan Akim Bakhyt Sultanov and UNWTO Secretary-General Zurab Pololikashvili. Photo credit: astana.gov.kz. UNWTO Secretary-General Zurab Pololikashvili and Nur-Sultan Akim (Mayor) Bakhyt Sultanov signed April 5 an agreement at the UNWTO Mayors Forum for Sustainable Urban Tourism in Lisbon, where the akim made a presentation of the capital, pointing out that Nur-Sultan has all necessary infrastructure for international events. The decision to have the event in Nur-Sultan was made at the seventh UNWTO Global Summit in Seoul last year. “The importance of urban tourism is growing in mature and emerging destinations alike, providing immense opportunities to make tourism an integral part of cities’ sustainable future, and we are very pleased to be holding the eighth UNWTO Global Summit on Urban Tourism in Nur-Sultan,” said Pololikashvili. “In times of intense development of tourism, all stakeholders must work together to ensure sustainable development and social integration of cities. As the akim of Nur-Sultan, a dynamic and growing hub in Central Asia, I am very pleased to invite all to the upcoming eighth UNWTO Global Summit on Urban Tourism,” said Sultanov. Nur-Sultan Akim Bakhyt Sultanov (C). 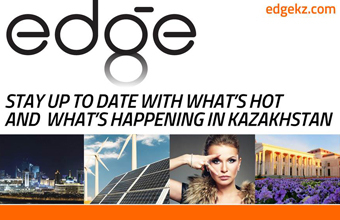 Photo credit: astana.gov.kz. The summit will bring together representatives from national tourism administrations, city authorities and related stakeholders to exchange expertise and set a shared vision to advance urban tourism. Participants will discuss sustainability, accessibility, innovations and inclusion of tourism in the urban agenda. During the summit, the International Congress and Convention Association (ICCA) will give a masterclass on trends in convention industry. According to the akimat, having the summit in Nur-Sultan will increase tourism to the capital and strengthen cooperation with major international tourism associations and companies. The UNWTO is responsible for the promotion of responsible, sustainable and universally accessible tourism around the world. It promotes tourism as a driver of economic growth, inclusive development and environmental sustainability and offers leadership and support to advance knowledge and tourism policies worldwide. The organisation has 158 member countries, six associate members and more than 500 affiliate members. The UNWTO Global Summit is designed to encourage new approaches to tourism and its impact on urban destinations. Previously, the event took place in Seoul (2018), Kuala Lumpur (2017), Luxor (2016), Marrakesh (2015), Barcelona (2014), Moscow (2013) and Istanbul (2012).